Mark Markarian describes the horse slaughter industry as predatory and inhumane. A key provision which keeps the horse slaughter industry from operating in the United States has been supported by the powerful House Appropriations Committee. The committee this week voted to adopt an amendment to the agriculture appropriations bill that would bar spending by the US Department of Agriculture to inspect horse slaughterhouses. Such inspections are legally required in the US for horse abattoirs to process meat for human consumption, meaning the spending ban would make it impossible for the industry to operate. The amendment was offered by Reps Sam Farr (D–Calif) and Charlie Dent (R–Pa). It was passed by a vote of 25-23. A similar amendment is expected to be considered in the Senate Appropriations Committee. The Humane Society of the United States is urging both chambers to pass the measure and prevent the use of American tax dollars for what it calls a cruel practice. The society’s chief operating officer, Michael Markarian, described the horse slaughter industry as a predatory and inhumane enterprise. The society said lawmakers voting yes on the amendment, to protect horses, were: Sanford Bishop (D-GA), Ander Crenshaw (R-FL), Rosa DeLauro (D-CT), Charlie Dent (R-PA), Sam Farr (D-CA), Michael Honda (D-CA), Steve Israel (D-NY), David Jolly (R-FL), David Joyce (R-OH), Marcy Kaptur (D-OH), Derek Kilmer (D-WA), Barbara Lee (D-CA), Nita Lowey (D-NY), Betty McCollum (D-MN), Chellie Pingree (D-ME), David Price (D-NC), Mike Quigley (D-IL), Tom Rooney (R-FL), Lucille Roybal-Allard (D-CA), Dutch Ruppersberger (D-MD), Tim Ryan (D-OH), Jose Serrano (D-NY), Debbie Wasserman Schultz (D-FL), Peter Visclosky (D-IN), Kevin Yoder (R-KS). Lawmakers voting no on the amendment were Robert Aderholt (R-AL), Mark Amodei (R-NV), Ken Calvert (R-CA), John Carter (R-TX), Tom Cole (R-OK), Mario Diaz-Balart (R-FL), Chuck Fleischmann (R-TN), Jeff Fortenberry (R-NE), Rodney Frelinghuysen (R-NJ), Kay Granger (R-TX), Tom Graves (R-GA), Andy Harris (R-MD), Jaime Herrera Buetler (R-WA), Evan Jenkins (R-WV), Steven Palazzo (R-MS), Scott Rigell (R-VA), Martha Roby (R-AL), Hal Rogers (R-KY), Mike Simpson (R-ID), Chris Stewart (R-UT), David Valadao (R-CA), Steve Womack (R-AR), David Young (R-IA). Those not voting were: Henry Cuellar (D-TX), John Culberson (R-TX), Chaka Fattah (D-PA). I would never send a horse to slaughter, but I don’t think I have the right to tell other people what to do. If these groups want to make slaughter illegal, they need to put their money where their mouth is. It cost a minimum of $2000.00 per year to take care of a horse. So for 150,000 horses you are looking at over $300,000,000.00. This will double the next year and that $600,000,000.00 will double every year for each year the ban on slaughter is in effect. Some people will say, reduce the number of horses by not breading. This will reduce the quality of the remaining horses. Not every horse has value. A lot of them are just plain nags. They have bad legs, knees, hearts, some are blind and incomplete brains. If you stop breading, horses with defects will become dominate. For every good horse there are two or three bad ones. These problems are just not evident to the uninitiated. So what do you do with the bad horses. You can euthanize them and bury the bodies. This seems wasteful and not good for the environment. In a world of starving people, it seems more humane to use the meat to help feed children who are starving. Even the American Veterinary Medical Association believes the horse slaughter houses it has inspected, kill the horses in a humane manner. This includes the modern facilities in Mexico. 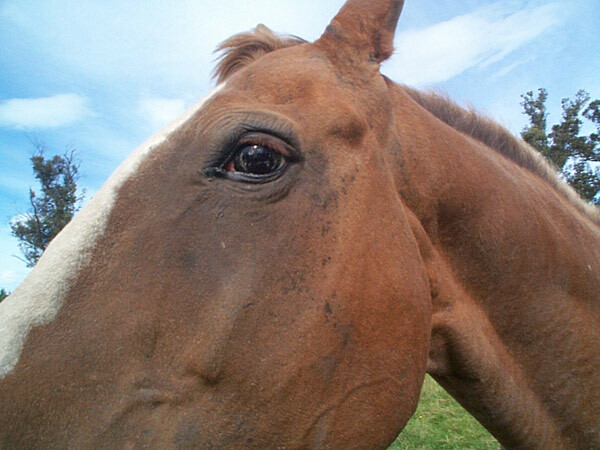 If this bill passes, more horses will be abandoned and left to starve or die of dehydration. Just look at the mess the BLM has. Too many horses and not enough grass and water. It seems more humane to slaughter these animals, because starvation is a slow and hard way to die. Sure they are gonna breed, but also the cycle of life comes to every living creature. And if people would quit breeding just to get the perfect horse and then just throwing it away. They should just breeding then there won’t be anymore horses to save from slaughter. Leave the wild ones on their own land and let them be. Let nature take it’s course. Hal Rogers voted NO. He is a disgrace to KY.